​Despite appearing to sustain an injury in the warm up prior to Liverpool's recent Premier League win against Brighton, Trent Alexander-Arnold played the full game at the Amex Stadium, perhaps to his detriment. The 20-year-old was subsequently ruled out for a month following the game with a knee injury, as Jurgen Klopp already has to contend with injuries in defence to Joe Gomez and Dejan Lovren, while Joel Matip has only recently returned from a broken collarbone. ​News of the injury to the England international hasn't stopped Klopp suggesting he could feature against Palace however, just seven days after picking up the knock. Speaking to the ​club's official website, Klopp said: "Gini and Trent, we will decide day by day. It’s of course not cool. "The exceptional part of that story is that they both played 90 minutes [at Brighton]. The whole world saw what happened to Trent – what a boy, unbelievable. We played the game and afterwards we got the information that he had [an injury]. "Nothing happened during the game, it was all stable and good. It was just what happened before the game; adrenaline is obviously an interesting thing, it gives you the opportunity to do a bit more than you would expect. We will see. "For both, it will be really, really close for tomorrow. I don’t want to close any doors before anybody tells me I have to." 3 days ago you said that Trent will be out for 4 weeks??? Looks like Trent Alexander-Arnold could well be fit for tomorrow's game against Crystal Palace, according to Klopp, despite reports earlier in the week saying he'd be sidelined for four weeks. 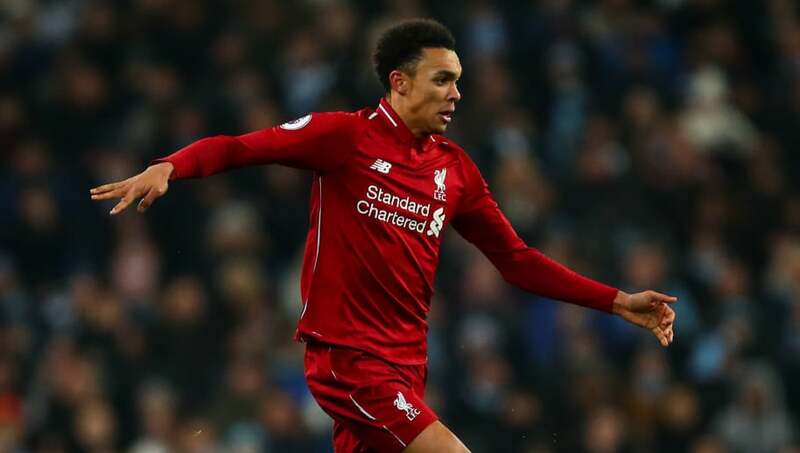 While Alexander-Arnold's part in the upcoming ​Premier League game against Crystal Palace is up for the debate, there was better news for ​the full-back in the shape of a new long-term contract with his boyhood club until 2024. Alexander-Arnold has become Liverpool's first-choice right-back under Klopp and has made 22 appearances across all competitions this season, scoring once and providing three assists.